A custom 57m full-displacement Benetti yacht, known as FB 271, has been sold by Imperial, who acted for the buyer and developed the specification of the project. 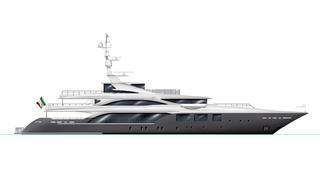 Luca Dini, the Florentine designer with 25 years of naval architecture experience, has been appointed to design the interiors for the FB271 project, which is scheduled for delivery in 2018. More details about FB 271 yacht will be released during the coming months. It has been a busy time for Benetti, which recently revealed details of its 63m superyacht, the FB 265 11/11. The Viareggio-based shipbuilder will show the 11/11 for the first time at the Monaco Boat Show in September.